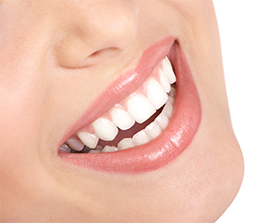 Composite tooth bonding is a cosmetic dentistry technique that can perform beautiful things for your smile. We utilize the best equipment and our doctors are of the highest expertise. Dental composite is made of particles such as silicon dioxide or quartz, bound with a tough synthetic resin. It is blended so that it comes in different shades, toughness, and translucencies and so that, with the proper artistic eye on the part of the dentist, it can match your teeth. It is then used to close tooth gaps fill cavities, or eliminate spots, chips, and discolorations. While technological advances have propelled dental procedures, tools and techniques into the 21st century, dental bonding techniques have undergone equally impressive advances since originating in the 1960s. The current seventh generation adhesives are high performing and effective self-etching composites that incorporate fluoride delivery and excellent marginal seal with the highest bonding strength. As a quick and simple form of producing dental prostheses used to replace damaged or missing dental structures, expert bonding is an inorganic, non-metallic alternative to other processes of restoration and fillings. In addition, the adhesives used today are pH balanced to accommodate gingival sensitivity and reduce irritation. The versatility is immense for both practitioners and dental patients desiring to improve a smile, repair old or leaking amalgams that are causing sensitivity to hot and cold stimulus, or in replacing an old Maryland Bridge that may have already undergone several adjustments. South dental bonding is easily accomplished in one office visit as it does not need to be manufactured in a laboratory whereas crowns and bridges tend to require multiple visits costing more time and money. This means that the dental bonding cost in Torrance is extremely reasonable and the time commitment is generally lower. Possibly the greatest benefit to bonding is this is a procedure requiring the least amount of tooth reduction. Unless there is drilling that may be performed in the process of preparing a tooth for a filling, something that also may be done through bonding, there is no need for anesthesia, which eliminates the cost associated with it. Further, dental bonding does not require any extra-special care beyond good oral hygiene practices of brushing and flossing everyday with routine office visits for a cleaning. It is advised to avoid eating hard materials, such as chewing ice; not a good choice for any dental condition. 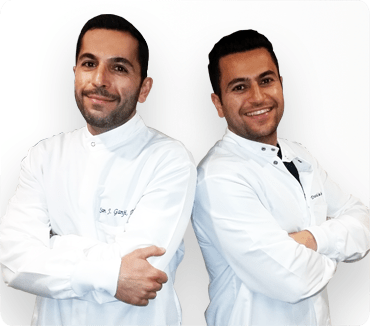 If you’re interested in cosmetic dental bonding in Los Angeles, Carson or Lomita consult with our Washington Dental team to discuss your options.